Rugged stage snake with quality connectors. 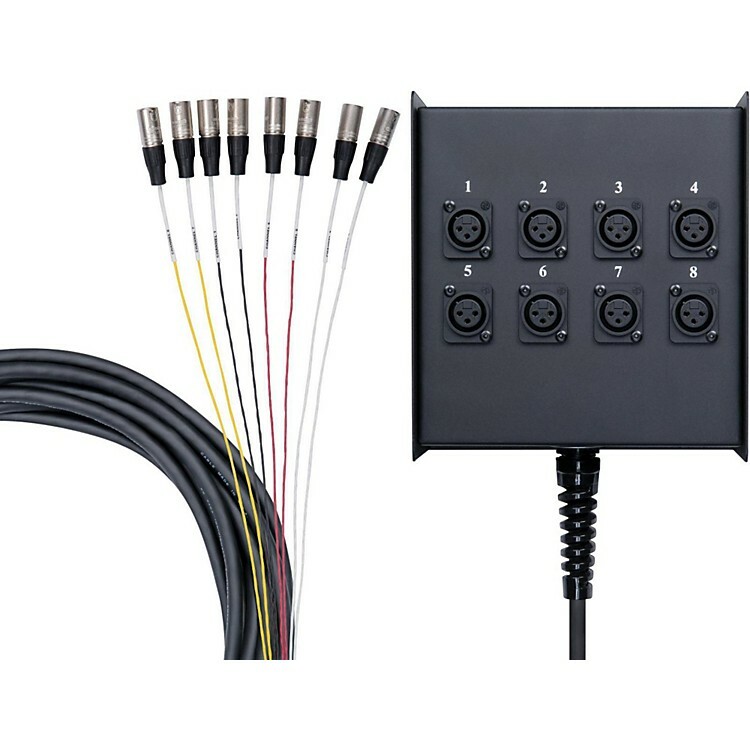 8 XLR input channels on the stage box with no return channels. The fan side has 8 XLR male connectors. Limited lifetime warranty. Exceptional quality, highly reliable. Order today.